Yesterday, I received an email from someone called Mayank Sinha, showing us the Raspberry Pi home security project he’s been working on. He got in touch particularly because, he writes, the Raspberry Pi community has given him “immense support” with his build, and he wanted to dedicate it to the commmunity as thanks. Mayank’s project is named Asfaleia, a Greek word that means safety, certainty, or security against threats. It’s part of an honourable tradition dating all the way back to 2012: it’s a prototype housed in a polystyrene box, using breadboards and jumper leads and sticky tape. And it’s working! Take a look. Asfaleia has a PIR (passive infrared) motion sensor, an IR break beam sensor, and a gas sensor. All are connected to a Raspberry Pi 3 Model B, the latter two via a NodeMCU board. Mayank currently has them set up in a box that’s divided into compartments to model different rooms in a house. If the IR sensors detect motion or a broken beam, the webcam takes a photo and emails it to the build’s owner, and the build also calls their phone (I like your ringtone, Mayank). If the gas sensor detects a leak, the system activates an exhaust fan via a small relay board, and again the owner receives a phone call. The build can also authenticate users via face and fingerprint recognition. The software that runs it all is written in Python, and you can see Mayank’s code on GitHub. Reading Mayank’s email made me very happy yesterday. We know that thousands of people in our community give a great deal of time and effort to help others learn and make things, and it is always wonderful to see an example of how that support is helping someone turn their ideas into reality. It’s great, too, to see people sharing works-in-progress, as well as polished projects! After all, the average build is more likely to feature rubber bands and Tupperware boxes than meticulously designed laser-cut parts or expert joinery. Mayank’s YouTube channel shows earlier work on this and another Pi project, and I hope he’ll continue to document his builds. So here’s to Raspberry Pi projects big, small, beginner, professional, endlessly prototyped, unashamedly bodged, unfinished or fully working, shonky or shiny. Please keep sharing them all! 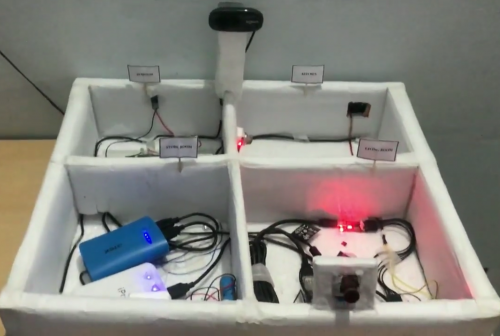 The post Mayank Sinha’s home security project appeared first on Raspberry Pi. In November 2013, the first commercially available helium-filled hard drive was introduced by HGST, a Western Digital subsidiary. 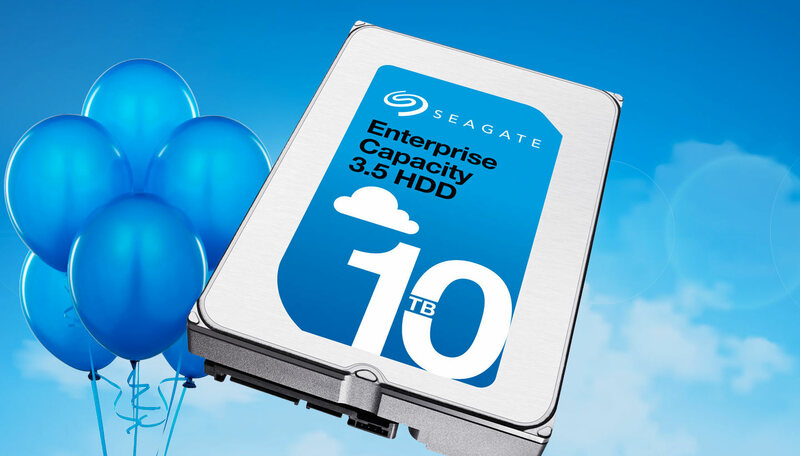 The 6 TB drive was not only unique in being helium-filled, it was for the moment, the highest capacity hard drive available. Fast forward a little over 4 years later and 12 TB helium-filled drives are readily available, 14 TB drives can be found, and 16 TB helium-filled drives are arriving soon. 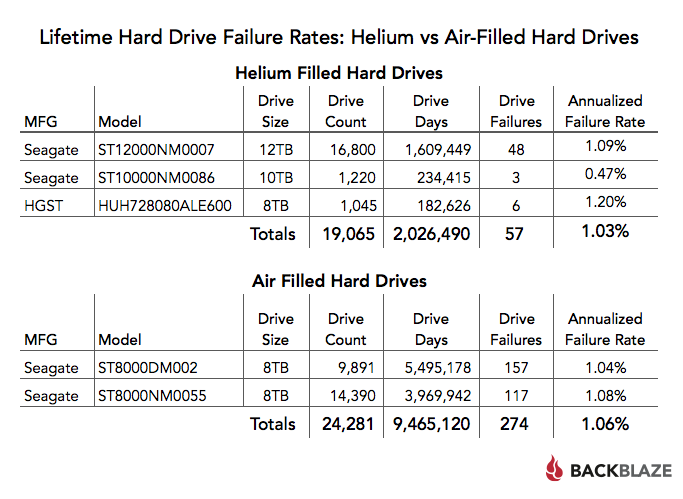 Backblaze has been purchasing and deploying helium-filled hard drives over the past year and we thought it was time to start looking at their failure rates compared to traditional air-filled drives. This post will provide an overview, then we’ll continue the comparison on a regular basis over the coming months. We all know that helium is lighter than air — that’s why helium-filled balloons float. Inside of an air-filled hard drive there are rapidly spinning disk platters that rotate at a given speed, 7200 rpm for example. The air inside adds an appreciable amount of drag on the platters that in turn requires an appreciable amount of additional energy to spin the platters. Replacing the air inside of a hard drive with helium reduces the amount of drag, thereby reducing the amount of energy needed to spin the platters, typically by 20%. We also know that after a few days, a helium-filled balloon sinks to the ground. This was one of the key challenges in using helium inside of a hard drive: helium escapes from most containers, even if they are well sealed. It took years for hard drive manufacturers to create containers that could contain helium while still functioning as a hard drive. This container innovation allows helium-filled drives to function at spec over the course of their lifetime. Three years ago, we identified SMART 22 as the attribute assigned to recording the status of helium inside of a hard drive. We have both HGST and Seagate helium-filled hard drives, but only the HGST drives currently report the SMART 22 attribute. It appears the normalized and raw values for SMART 22 currently report the same value, which starts at 100 and goes down. To date only one HGST drive has reported a value of less than 100, with multiple readings between 94 and 99. That drive continues to perform fine, with no other errors or any correlating changes in temperature, so we are not sure whether the change in value is trying to tell us something or if it is just a wonky sensor. There are several different ways to compare these two types of drives. Below we decided to use just our 8, 10, and 12 TB drives in the comparison. We did this since we have helium-filled drives in those sizes. We left out of the comparison all of the drives that are 6 TB and smaller as none of the drive models we use are helium-filled. We are open to trying different comparisons. This just seemed to be the best place to start. The most obvious observation is that there seems to be little difference in the Annualized Failure Rate (AFR) based on whether they contain helium or air. One conclusion, given this evidence, is that helium doesn’t affect the AFR of hard drives versus air-filled drives. My prediction is that the helium drives will eventually prove to have a lower AFR. Why? Drive Days. Let’s go back in time to Q1 2017 when the air-filled drives listed in the table above had a similar number of Drive Days to the current number of Drive Days for the helium drives. We find that the failure rate for the air-filled drives at the time (Q1 2017) was 1.61%. In other words, when the drives were in use a similar number of hours, the helium drives had a failure rate of 1.06% while the failure rate of the air-filled drives was 1.61%. My hypothesis is that after normalizing the data so that the helium and air-filled drives have the same (or similar) usage (Drive Days), the helium-filled drives we use will continue to have a lower Annualized Failure Rate versus the air-filled drives we use. I expect this trend to continue for the next year at least. What side do you come down on? Will the Annualized Failure Rate for helium-filled drives be better than air-filled drives or vice-versa? Or do you think the two technologies will be eventually produce the same AFR over time? Pick a side and we’ll document the results over the next year and see where the data takes us. The post The Helium Factor and Hard Drive Failure Rates appeared first on Backblaze Blog | Cloud Storage & Cloud Backup. how they affect the implementation. User authentication is the functionality that every web application shared. We should have perfected that a long time ago, having implemented it so many times. And yet there are so many mistakes made all the time. Part of the reason for that is that the list of things that can go wrong is long. You can store passwords incorrectly, you can have a vulnerably password reset functionality, you can expose your session to a CSRF attack, your session can be hijacked, etc. So I’ll try to compile a list of best practices regarding user authentication. OWASP top 10 is always something you should read, every year. But that might not be enough. Store passwords with bcrypt/scrypt/PBKDF2. No MD5 or SHA, as they are not good for password storing. Long salt (per user) is mandatory (the aforementioned algorithms have it built in). If you don’t and someone gets hold of your database, they’ll be able to extract the passwords of all your users. And then try these passwords on other websites. Use HTTPS. Period. (Otherwise user credentials can leak through unprotected networks). Force HTTPS if user opens a plain-text version. Mark cookies as secure. Makes cookie theft harder. Use CSRF protection (e.g. CSRF one-time tokens that are verified with each request). Frameworks have such functionality built-in. Session expiry – don’t have forever-lasting sessions. If the user closes your website, their session should expire after a while. “A while” may still be a big number depending on the service provided. For ajax-heavy website you can have regular ajax-polling that keeps the session alive while the page stays open. Remember me – implementing “remember me” (on this machine) functionality is actually hard due to the risks of a stolen persistent cookie. Spring-security uses this approach, which I think should be followed if you wish to implement more persistent logins. 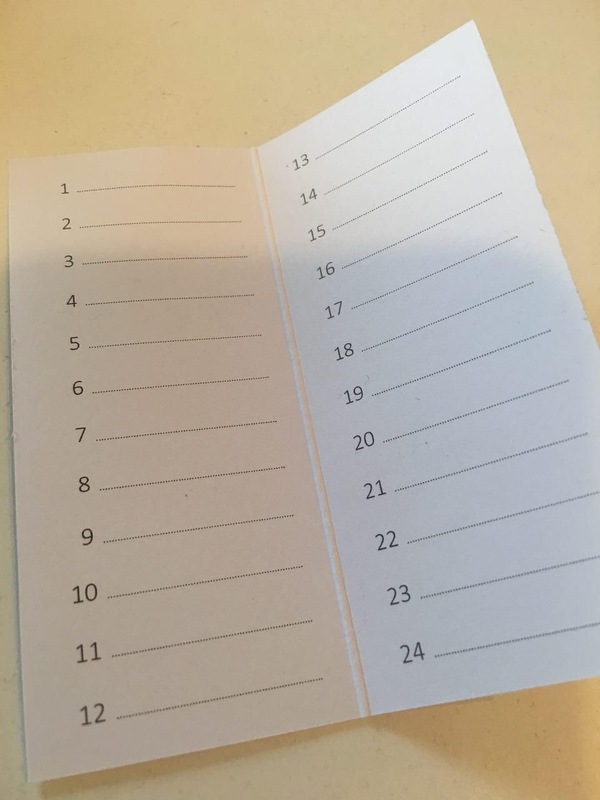 One-time login links – this is an option used by Slack, which sends one-time login links instead of asking users for passwords. It relies on the fact that your email is well guarded and you have access to it all the time. If your service is not accessed to often, you can have that approach instead of (rather than in addition to) passwords. Limit login attempts – brute-force through a web UI should not be possible; therefore you should block login attempts if they become too many. One approach is to just block them based on IP. The other one is to block them based on account attempted. (Spring example here). Which one is better – I don’t know. Both can actually be combined. Instead of fully blocking the attempts, you may add a captcha after, say, the 5th attempt. But don’t add the captcha for the first attempt – it is bad user experience. Don’t leak information through error messages – you shouldn’t allow attackers to figure out if an email is registered or not. If an email is not found, upon login report just “Incorrect credentials”. On passwords reset, it may be something like “If your email is registered, you should have received a password reset email”. This is often at odds with usability – people don’t often remember the email they used to register, and the ability to check a number of them before getting in might be important. So this rule is not absolute, though it’s desirable, especially for more critical systems. Make sure you use JWT only if it’s really necessary and be careful of the pitfalls. Consider using a 3rd party authentication – OpenID Connect, OAuth by Google/Facebook/Twitter (but be careful with OAuth flaws as well). There’s an associated risk with relying on a 3rd party identity provider, and you still have to manage cookies, logout, etc., but some of the authentication aspects are simplified. For high-risk or sensitive applications use 2-factor authentication. There’s a caveat with Google Authenticator though – if you lose your phone, you lose your accounts (unless there’s a manual process to restore it). That’s why Authy seems like a good solution for storing 2FA keys. I’m sure I’m missing something. And you see it’s complicated. Sadly we’re still at the point where the most common functionality – authenticating users – is so tricky and cumbersome, that you almost always get at least some of it wrong. The post User Authentication Best Practices Checklist appeared first on Bozho's tech blog. See this LWN article for a look at crypto cards. Amazon S3 provides comprehensive security and compliance capabilities that meet even the most stringent regulatory requirements. It gives you flexibility in the way you manage data for cost optimization, access control, and compliance. 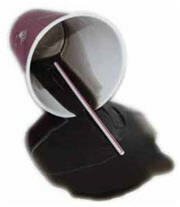 However, because the service is flexible, a user could accidentally configure buckets in a manner that is not secure. For example, let’s say you uploaded files to an Amazon S3 bucket with public read permissions, even though you intended only to share this file with a colleague or a partner. Although this might have accomplished your task to share the file internally, the file is now available to anyone on the internet, even without authentication. In this blog post, we show you how to prevent your Amazon S3 buckets and objects from allowing public access. We discuss how to secure data in Amazon S3 with a defense-in-depth approach, where multiple security controls are put in place to help prevent data leakage. This approach helps prevent you from allowing public access to confidential information, such as personally identifiable information (PII) or protected health information (PHI). Every call to an Amazon S3 service becomes a REST API request. When your request is transformed via a REST call, the permissions are converted into parameters included in the HTTP header or as URL parameters. The Amazon S3 bucket policy allows or denies access to the Amazon S3 bucket or Amazon S3 objects based on policy statements, and then evaluates conditions based on those parameters. To learn more, see Using Bucket Policies and User Policies. 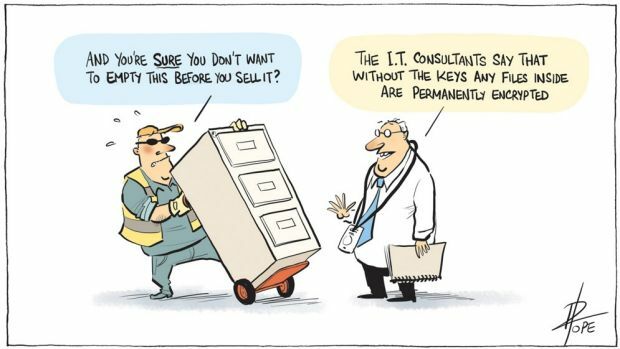 With this in mind, let’s say multiple AWS Identity and Access Management (IAM) users at Example Corp. have access to an Amazon S3 bucket and the objects in the bucket. Example Corp. wants to share the objects among its IAM users, while at the same time preventing the objects from being made available publicly. To demonstrate how to do this, we start by creating an Amazon S3 bucket named examplebucket. After creating this bucket, we must apply the following bucket policy. This policy denies any uploaded object (PutObject) with the attribute x-amz-acl having the values public-read, public-read-write, or authenticated-read. This means authenticated users cannot upload objects to the bucket if the objects have public permissions. To better understand what is happening in this bucket policy, we’ll explain each statement. Let’s start with the first statement. Remember that IAM policies are evaluated not in a first-match-and-exit model. Instead, IAM evaluates first if there is an explicit Deny. If there is not, IAM continues to evaluate if you have an explicit Allow and then you have an implicit Deny. The above policy creates an explicit Deny. Even when any authenticated user tries to upload (PutObject) an object with public read or write permissions, such as public-read or public-read-write or authenticated-read, the action will be denied. To understand how S3 Access Permissions work, you must understand what Access Control Lists (ACL) and Grants are. You can find the documentation here. Now let’s continue our bucket policy explanation by examining the next statement. AuthenticatedUsers group. 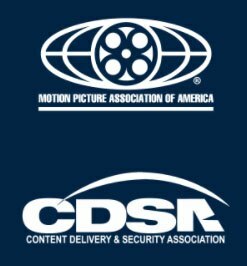 Represented by http://acs.amazonaws.com/groups/global/AuthenticatedUsers, this group represents all AWS accounts. Access permissions to this group allow any AWS account to access the resource. However, all requests must be signed (authenticated). AllUsers group. Represented by http://acs.amazonaws.com/groups/global/AllUsers, access permissions to this group allow anyone on the internet access to the resource. The requests can be signed (authenticated) or unsigned (anonymous). Unsigned requests omit the Authentication header in the request. For more information about which parameters you can use to create bucket policies, see Using Bucket Policies and User Policies. Now that you know how to deny object uploads with permissions that would make the object public, you just have two statement policies that prevent users from changing the bucket permissions (Denying s3:PutBucketACL from ACL and Denying s3:PutBucketACL from Grants). Below is how we’re preventing users from changing the bucket permisssions. As you can see above, the statement is very similar to the Object statements, except that now we use s3:PutBucketAcl instead of s3:PutObjectAcl, the Resource is just the bucket ARN, and the objects have the “/*” in the end of the ARN. In this section, we showed how to prevent IAM users from accidently uploading Amazon S3 objects with public permissions to buckets. In the next section, we show you how to enforce multiple layers of security controls, such as encryption of data at rest and in transit while serving traffic from Amazon S3. The data must be encrypted at rest and during transit. The data must be accessible only by a limited set of public IP addresses. All requests for data should be handled only by Amazon CloudFront (which is a content delivery network) instead of being directly available from an Amazon S3 URL. If you’re using an Amazon S3 bucket as the origin for a CloudFront distribution, you can grant public permission to read the objects in your bucket. This allows anyone to access your objects either through CloudFront or the Amazon S3 URL. CloudFront doesn’t expose Amazon S3 URLs, but your users still might have access to those URLs if your application serves any objects directly from Amazon S3, or if anyone gives out direct links to specific objects in Amazon S3. A domain name is required to consume the content. Custom SSL certificate support lets you deliver content over HTTPS by using your own domain name and your own SSL certificate. 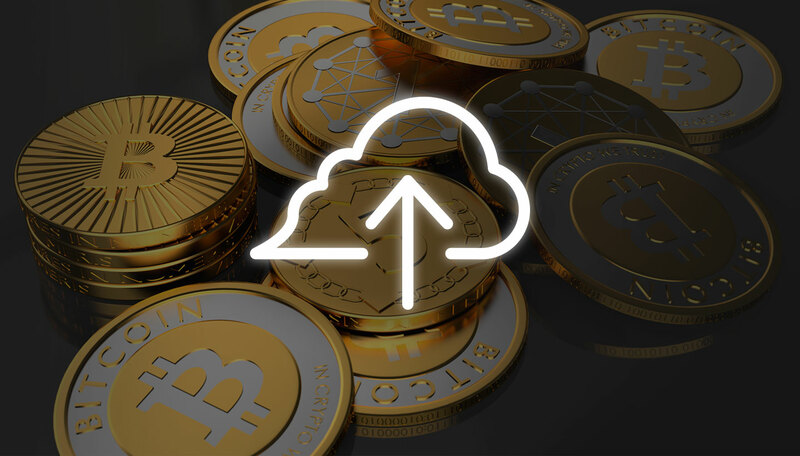 This gives visitors to your website the security benefits of CloudFront over an SSL connection that uses your own domain name, in addition to lower latency and higher reliability. To represent defense-in-depth visually, the following diagram contains several Amazon S3 objects (A) in a single Amazon S3 bucket (B). You can encrypt these objects on the server side or the client side. You also can configure the bucket policy such that objects are accessible only through CloudFront, which you can accomplish through an origin access identity (C). You then can configure CloudFront to deliver content only over HTTPS in addition to using your own domain name (D). Let’s start with the objects themselves. Amazon S3 objects—files in this case—can range from zero bytes to multiple terabytes in size (see service limits for the latest information). Each Amazon S3 bucket includes a collection of objects, and the objects can be uploaded via the Amazon S3 console, AWS CLI, or AWS API. You can encrypt Amazon S3 objects at rest and during transit. At rest, objects in a bucket are encrypted with server-side encryption by using Amazon S3 managed keys or AWS Key Management Service (AWS KMS) managed keys or customer-provided keys through AWS KMS. You also can encrypt objects on the client side by using AWS KMS managed keys or a customer-supplied client-side master key. If you choose to use server-side encryption, Amazon S3 encrypts your objects before saving them on disks in AWS data centers. To encrypt an object at the time of upload, you need to add the x-amz-server-side-encryption header to the request to tell Amazon S3 to encrypt the object using Amazon S3 managed keys (SSE-S3), AWS KMS managed keys (SSE-KMS), or customer-provided keys (SSE-C). There are two possible values for the x-amz-server-side-encryption header: AES256, which tells Amazon S3 to use Amazon S3 managed keys, and aws:kms, which tells Amazon S3 to use AWS KMS managed keys. The following code example shows a Put request using SSE-S3. If you choose to use client-side encryption, you can encrypt data on the client side and upload the encrypted data to Amazon S3. In this case, you manage the encryption process, the encryption keys, and related tools. You encrypt data on the client side by using AWS KMS managed keys or a customer-supplied, client-side master key. At the Amazon S3 bucket level, you can configure permissions through a bucket policy. For example, you can limit access to the objects in a bucket by IP address range or specific IP addresses. Alternatively, you can make the objects accessible only through HTTPS. The following bucket policy allows access to Amazon S3 objects only through HTTPS (the policy was generated with the AWS Policy Generator). Here the bucket policy explicitly denies ("Effect": "Deny") all read access ("Action": "s3:GetObject") from anybody who browses ("Principal": "*") to Amazon S3 objects within an Amazon S3 bucket if they are not accessed through HTTPS ("aws:SecureTransport": "false"). CloudFront is a content delivery network that acts as a cache to serve static files quickly to clients. Depending on the number of requests, the cost of delivery is less than if objects were served directly via Amazon S3. Objects served through CloudFront can be limited to specific countries. Access to these Amazon S3 objects is available only through CloudFront. We do this by creating an origin access identity (OAI) for CloudFront and granting access to objects in the respective Amazon S3 bucket only to that OAI. As a result, access to Amazon S3 objects from the internet is possible only through CloudFront; all other means of accessing the objects—such as through an Amazon S3 URL—are denied. CloudFront acts not only as a content distribution network, but also as a host that denies access based on geographic restrictions. You apply these restrictions by updating your CloudFront web distribution and adding a whitelist that contains only a specific country’s name (let’s say Liechtenstein). Alternatively, you could add a blacklist that contains every country except that country. Learn more about how to use CloudFront geographic restriction to whitelist or blacklist a country to restrict or allow users in specific locations from accessing web content in the AWS Support Knowledge Center. You use the same URL format whether you store the content in Amazon S3 buckets or at a custom origin, like one of your own web servers. Instead of using the default domain name that CloudFront assigns for you when you create a distribution, you can add an alternate domain name that’s easier to work with, like example.com. By setting up your own domain name with CloudFront, you can use a URL like this for objects in your distribution: http://example.com/images/image.jpg. Let’s say that you already have a domain name hosted on Amazon Route 53. You would like to serve traffic from the domain name, request an SSL certificate, and add this to your CloudFront web distribution. The SSL offloading occurs in CloudFront by serving traffic securely from each CloudFront location. You also can configure CloudFront to deliver your content over HTTPS by using your custom domain name and your own SSL certificate. Serving web content through CloudFront reduces response from the origin as requests are redirected to the nearest edge location. This results in faster download times than if the visitor had requested the content from a data center that is located farther away. In this post, we demonstrated how you can apply policies to Amazon S3 buckets so that only users with appropriate permissions are allowed to access the buckets. Anonymous users (with public-read/public-read-write permissions) and authenticated users without the appropriate permissions are prevented from accessing the buckets. We also examined how to secure access to objects in Amazon S3 buckets. The objects in Amazon S3 buckets can be encrypted at rest and during transit. Doing so helps provide end-to-end security from the source (in this case, Amazon S3) to your users. If you have feedback about this blog post, submit comments in the “Comments” section below. If you have questions about this blog post, start a new thread on the Amazon S3 forum or contact AWS Support. that code into the kernel has run into a snag. The cybersecurity company McAfee recently uncovered a cyber operation, dubbed Operation GoldDragon, attacking South Korean organizations related to the Winter Olympics. McAfee believes the attack came from a nation state that speaks Korean, although it has no definitive proof that this is a North Korean operation. The victim organizations include ice hockey teams, ski suppliers, ski resorts, tourist organizations in Pyeongchang, and departments organizing the Pyeongchang Olympics. Meanwhile, a Russia-linked cyber attack has already stolen and leaked documents from other Olympic organizations. The so-called Fancy Bear group, or APT28, began its operations in late 2017 –­ according to Trend Micro and Threat Connect, two private cybersecurity firms­ — eventually publishing documents in 2018 outlining the political tensions between IOC officials and World Anti-Doping Agency (WADA) officials who are policing Olympic athletes. It also released documents specifying exceptions to anti-doping regulations granted to specific athletes (for instance, one athlete was given an exception because of his asthma medication). The most recent Fancy Bear leak exposed details about a Canadian pole vaulter’s positive results for cocaine. This group has targeted WADA in the past, specifically during the 2016 Rio de Janeiro Olympics. Assuming the attribution is right, the action appears to be Russian retaliation for the punitive steps against Russia. A senior analyst at McAfee warned that the Olympics may experience more cyber attacks before closing ceremonies. 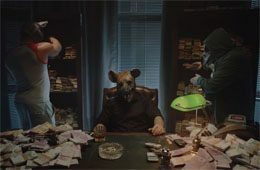 A researcher at ThreatConnect asserted that organizations like Fancy Bear have no reason to stop operations just because they’ve already stolen and released documents. Even the United States Department of Homeland Security has issued a notice to those traveling to South Korea to remind them to protect themselves against cyber risks. One presumes the Olympics network is sufficiently protected against the more pedestrian DDoS attacks and the like, but who knows? EDITED TO ADD: There was already one attack. Yes, that really happened. The person who bought and opened the file cabinets contacted the Australian Broadcasting Corp, who is now publishing a bunch of it. There’s lots of interesting (and embarassing) stuff in the documents, although most of it is local politics. I am more interested in the government’s reaction to the incident: they’re pushing for a law making it illegal for the press to publish government secrets it received through unofficial channels. “The one thing I would point out about the legislation that does concern me particularly is that classified information is an element of the offence,” he said. “That is to say, if you’ve got a filing cabinet that is full of classified information … that means all the Crown has to prove if they’re prosecuting you is that it is classified ­ nothing else. Many groups have raised concerns, including media organisations who say they unfairly target journalists trying to do their job. But really anyone could be prosecuted just for possessing classified information, regardless of whether they know about it. That might include, for instance, if you stumbled across a folder of secret files in a regular skip bin while walking home and handed it over to a journalist. This illustrates a fundamental misunderstanding of the threat. The Australian Broadcasting Corp gets their funding from the government, and was very restrained in what they published. They waited months before publishing as they coordinated with the Australian government. They allowed the government to secure the files, and then returned them. From the government’s perspective, they were the best possible media outlet to receive this information. If the government makes it illegal for the Australian press to publish this sort of material, the next time it will be sent to the BBC, the Guardian, the New York Times, or Wikileaks. And since people no longer read their news from newspapers sold in stores but on the Internet, the result will be just as many people reading the stories with far fewer redactions. The proposed law is older than this leak, but the leak is giving it new life. The Australian opposition party is being cagey on whether they will support the law. They don’t want to appear weak on national security, so I’m not optimistic. EDITED TO ADD (2/8): The Australian government backed down on that new security law. EDITED TO ADD (2/13): Excellent political cartoon. 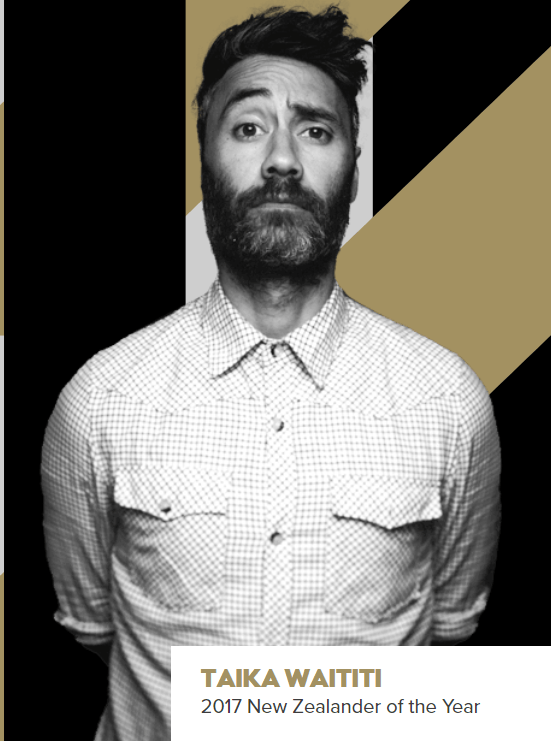 “I cut together little clips and shots — I basically illegally torrented and, erm, you know, ripped clips from the Internet,” Waititi said.